Cats are smart. Often they know how to find just the right person when they need help. That’s what Rusti did; he found Annabelle. Annabelle, in her mid-90s, lives in her own home with her grandson in the lower suite to help her out when she needs it. We don’t know Rusti’s story before he started coming around Annabelle’s house but he had been living on the streets for a while and needed a little help himself. Concerned about him, Annabelle started feeding Rusti and letting him come into her home for visits. Thus began a wonderful friendship and things went on this way for many months. But one day when Rusti came for a visit, he appeared to have an injured leg so Annabelle’s grandson called VOKRA for help. We picked up Rusti and brought him to our Operations Centre where he was an immediate hit with everyone who met him. Affectionate and playful, loving and attention-seeking, our volunteers all fell in love with Rusti, just like Annabelle had. 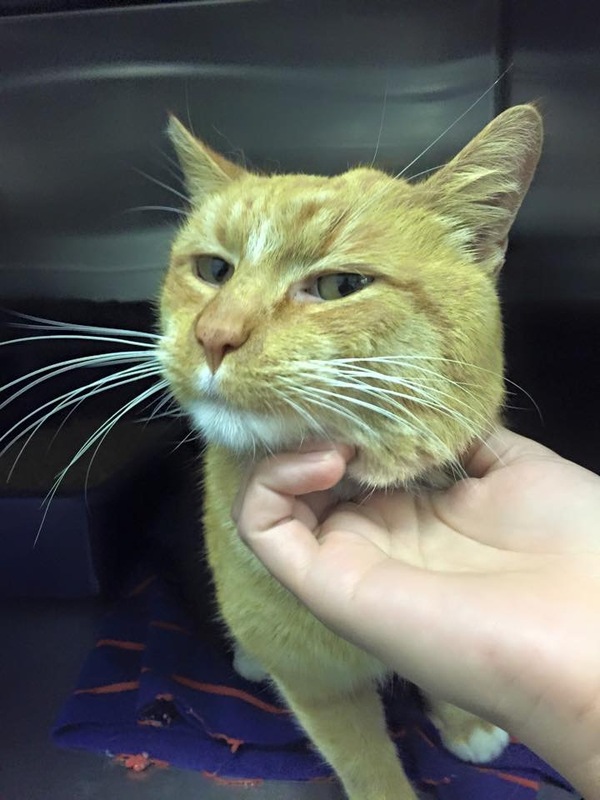 Rusti was assessed by our medical team and, thankfully, was not badly injured, but he was definitely showing signs of surviving on the streets alone for too long. An outdoor life is no life for a cat, even if you do have somewhere and someone wonderful to visit. VOKRA began the process of getting Rusti healthy and strong again and started looking for the best possible foster home for him. Rusti would have a happy ending, for sure…but not everyone was happy. Concerned for her furry friend, Annabelle grew upset. She wanted to be sure he was well-taken care of and felt helpless without being able to check on him daily. Her grandson talked to us about it and we asked Annabelle to come down for a visit. It turns out, Annabelle knows a little about what VOKRA does. Before retiring, she worked for many years as an adoptions social worker, placing kids from foster care with forever families. When Karen from VOKRA found this out, she and Annabelle talked about the parallels between her work and Annabelle’s. They talked about how Annabelle always worked to find the best match and to place the children in her care into loving homes where they would be safe forever. They talked about how VOKRA does the same thing with cats in our care. Karen promised Annabelle we would do that for Rusti. Reluctantly, but knowing her friend was in the care of people she could trust, Annabelle generously made a donation to VOKRA and said good-bye to Rusti. Since then, true to Karen’s promise, Rusti was moved to a wonderful foster home with one of our experienced fosters, Viral DL. Viral DL dubbed him Rambunctious Rusti and enjoyed giving in to Rusti’s demands for affection and playtime. He got used to Rusti hanging out on his lap and his funny way of plopping down on Viral DL’s thigh and hugging him with all four of his legs! Rusti had made yet another friend. 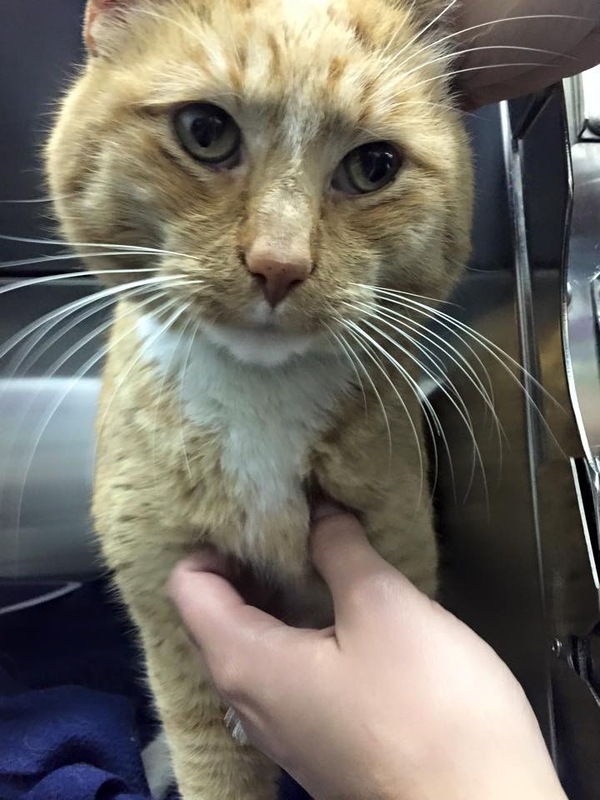 He is the most affectionate cat I have ever taken care of and he deserves a loving home. I am certain he will give more love to you than you could ever give to him. One lucky couple is about to find out if Viral DL’s prediction was accurate–Rusti is heading to his forever home this weekend! 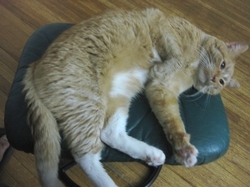 His adopters are cat lovers who recently had to say good-bye to their feline friend of 19 years. We are all thrilled for Rusti that he too will have the chance to live a long and happy life with this family and get, and give, lots of love. Thank you, Annabelle. You helped so many people build their families in your lifetime and now you’ve helped that happen once again. Congratulations, Rusti. We are all so glad you knew where to turn for help. If you need help with a stray or injured cat in your neighbourhood, please contact us. 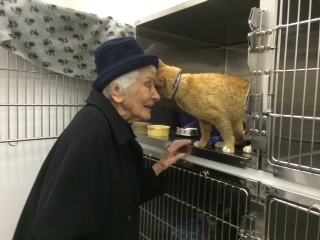 And please consider making a donation, like Annabelle did, to help us help more cats like Rusti.